4 records "Bahubali - The conclusion" break before release! Home Movies 4 records “Bahubali – The conclusion” break before release! Bahubali – The beginning the third highest share and gross collected movie (including all languages) in the country. This is probably the first record for any regional Indian movie to achieve this feat. The movie has got good reviews from the critics and has been screened in many countries including China and Japan. The movie makers thought of closing the movie in a single part but as the script demand they have decided to make the movie in two parts. The first part ends with a question “Why did Katappa kill Bahubali” – the hashtags have been in the top ten trending among the twitter last year. So not only India but world is waiting for the “Bahubali – The conclusion’” in which all questions are answered. The magnum opus of SS Rajamouli, one of the finest director of India has already break many records of many films including its former part. The makers didn’t expect the first part to be a huge success but as it did they are marketing the second part with much hype and seems like the magic is working. The movie is doing tremendous business even before its release. These are the records which Bahubali – The conclusion has created. This could be the highest price for any movie in the Indian history. 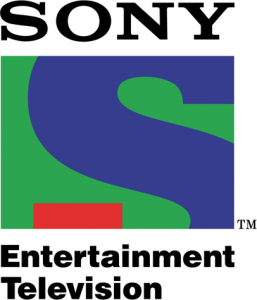 Sony television network has bought the movie for a whopping 51 crores where the taxes are extra to that. It says that 51 crores are into the maker’s pocket. The Bahubali – Beginning is sold for 45 crores (three languages combined Telugu, Tamil and Hindi) to the Star India network. This time the records are break as the Hindi movie alone is sold for the price. When contacted one of the heads of Sony who finalized this deal said, “the TRP ratings for the first part is very high, indeed higher than the Salman’s Bhajrangi, so we decided not to lose the chance of buying this deal”. Well the 10 seconds add slot is sold at 9 lakhs during the movie prime time. 3) Telugu movie rights were sold at 50 crores in Telangana Region. Telangana region is considered to be the biggest and important market to the Telugu film. Bahubali – the Beginning has grossed more than 220 crores in Telugu alone and currently holds the record. The Bahubali – conclusion rights were sold for 50 crores in the Telangana state which is highest for any movie. The distributor who bought the rights is quite confident of profits and said “last year everyone whoever distributed Bahubali got 200% profit, I am sure this time we will get more”. Well, yes the entire state is waiting for it. The overseas market is no more a small account for the makers. Indeed, some movies are being made keeping them in mind. 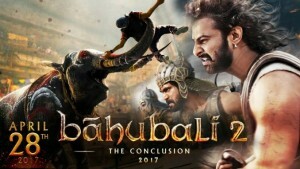 Bahubali has earned more than 10 million in the North America market last year which was sold at 2 million, this time the makers have sold the rights at 7 million. This is the new record for the regional movie. The same buyers who bought the first part has bought the second part. 1) The Andhra Pradesh and Tamil rights are being sold at high prices. It is speculated that the Andhra Pradesh (including Rayalaseema) rights are being quoted at a price of 75 crores which is a new record also the Tamil rights are being quoted at the price of 60 crores. Last year the Tamil movie rights were sold at a price of 27 crores and the movie has collected more than 100 crores. This time the makers are in a plan to release the movie in Hindi on their own production house name despite of selling it to Dharma Productions. There is no doubt that the openings of this movie could create a new record in the Indian movie history. It is already planned to release on more than 9,000 screens across the world. The movie is slotted for a release on next year first quarter and would be an eye treat for all moviegoers. This is also the first movie to get released in the VR mode. So let us wait for the movie to hit the screens. So any guesses why Katappa killed Bahubali ? Comment below.